Digestive issues are no fun and can be pretty embarrassing. A whole host of things, including greasy foods, eating too fast, medication or even stress, can send someone running for the bathroom or leave them with an uncomfortable pain. However, while most stomachaches come and go, an upset stomach could signal a more serious issue. 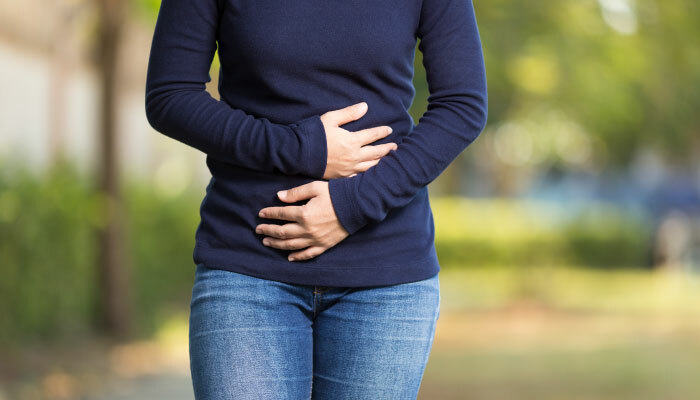 Sarah Bligh, MD, UnityPoint Health explains the differences between the average upset stomach and a condition known as irritable bowel syndrome (IBS). “Upset stomach is typically more nausea, vomiting and upper abdomen pain, where irritable bowel is more of lower abdomen pain and changes in bowel habits that can include constipation, diarrhea or both,” Dr. Bligh says. Irritable bowel syndrome typically affects the large intestine; however, Dr. Bligh says there are no specific known causes of IBS. Unlike upset stomach, IBS is a chronic condition that needs to be managed long term. Symptoms vary from person-to-person, and the condition equally affects men and women. There is no specific test to confirm an IBS diagnosis. Dr. Bligh says patients may have to have blood tests, scopes and radiology exams to rule out things that can cause similar symptoms. If the tests come back negative and the history of the patient’s symptoms is consistent, the IBS diagnosis is confirmed. Dr. Bligh says the next step is determining how to treat irritable bowel syndrome on a case-by-case basis. “There are many different treatment options that range for person-to-person and condition-to-condition. They include diet changes and medication to treat the symptoms,” Dr. Bligh says. Patients diagnosed with IBS should work with their UnityPoint Health provider to create an action plan that’s personalized to their individual symptoms. Most of us want to know what causes stomachaches, but the answer is pretty complicated. Upset stomachs can be caused by infections or stomach acid, or they can be a symptom of another condition including ulcers, dyspepsia or gastroparesis. If patients wonder what to take for stomach pain, there are a wide range of over-the-counter medications available. They include Tums, Pepto Bismol, Zantac, Prilosec and Dramamine for nausea. “There are also a few stomachache remedies a patient can try in order to avoid taking medications. Ginger and peppermint can both help relieve an upset stomach,” Dr. Bligh says. If patients get a strong pain in the stomach after eating, there are several things to try. Dr. Bligh suggests first changing their diet and taking over-the-counter medications. If the pain doesn’t subside, they should call their primary care provider.